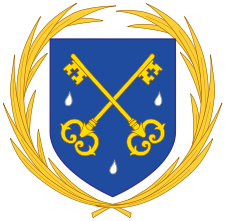 Welcome to the website of Immaculate Conception Catholic Church of the Priestly Fraternity of St. Peter, a pontifical society of apostolic life in union with His Holiness, Pope Francis. This community was established by the generosity of Bishop Mark Seitz, following upon general recommendations of Popes John Paul II and Benedict XVI, in order to minister to the faithful who are attached to more traditional forms of worship and practice. In the Traditional Latin Rite, Holy Communion is received on the tongue only while kneeling at the altar rail. A reminder: only baptized Catholics in the state of grace are properly disposed to receive Communion. Although today only a fast of one hour from food or beverages (excluding water) is required by the Church to receive Holy Communion, all the faithful are exhorted to follow any of the more traditional forms of Eucharistic fast. The fast which was in use until the time of Pope John XXIII involved a total fast (food and all beverages) from midnight on. This or anything in between can be freely observed, provided the bare minimum as stated above is kept. If you wish to become a member of the parish, you can apply for membership by filling out a registration form, which can be found in the back of the church. Come join us for coffee and donuts served after Mass in the hall beneath the church. We’d like to meet you. We invite you to become a member of Immaculate Conception Catholic Church in El Paso and look forward to seeing you at Mass each Sunday.